How and where do I leave a review or testimonial? You can write a product and/or service review using YotPo, or online using Google, Facebook and Consumer Reports. If you'd like to leave a review for Avocado and our products, we highly encourage you to do so! There are four options to leave reviews, listed below. Please note which options are from verified customers with verified transactions — an important consideration when determining the relevance and reliability of the review. Of course, if something is not right with your order or experience, please contact us directly using our online chat functionality or our contact form. We'd love the opportunity to make it right! After you make a purchase from us, you will receive a "mail after purchase" email directly from YotPo – a third-party customer review and ratings platform — approximately 30 to 45 days after your initial transaction. You will receive a request to review only one of the products from your order, which is chosen at random by YotPo. Mail-after-purchase reviews are Verified Buyer Reviews, and are shown with a green check mark online at our website, since these reviews are written by real customers with matching transaction IDs. These reviews can be updated by the customer at any time, using the link provided in the original mail-after-purchase email review request. Please note: we are able to leave public and private comments in response. 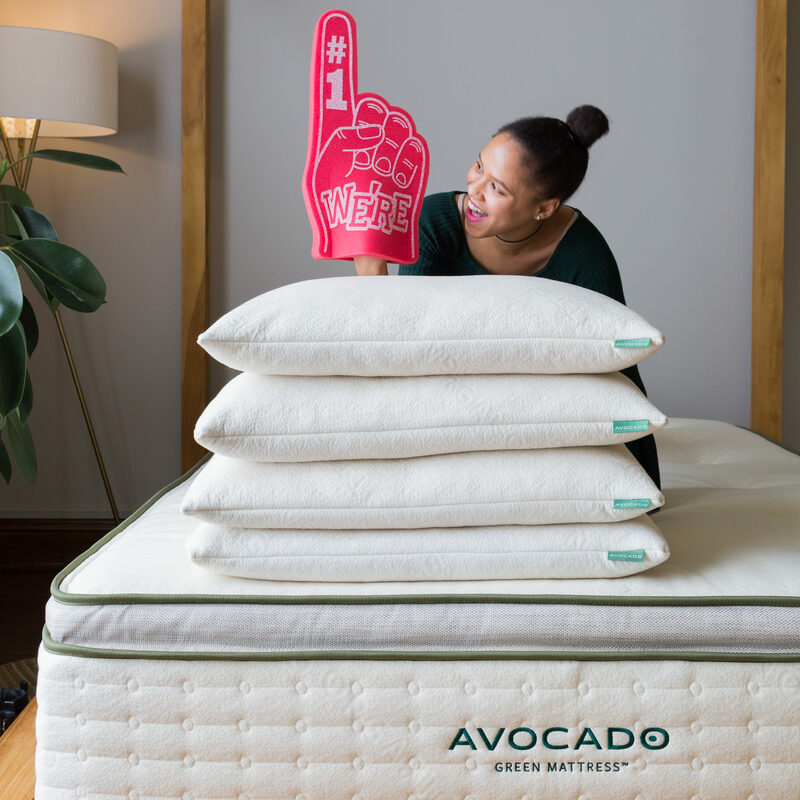 On all of our product pages, like the Avocado Green Mattress page, you can write a review at any time. (You cannot write a review on the main Reviews page or on the left green REVIEWS tab, due to platform limitations with YotPo.) To leave a review, just look for the gray WRITE A REVIEW button. These reviews will show as unverified, since YotPo will not be able to confirm your review is associated with a confirmed transaction. Reviews typically appear within 24 hours, when the platform publishes new reviews. Reviews that contain personal contact information (full name, phone number or email address) or profanity will be included in the overall rating score for the product, but will not display publicly. 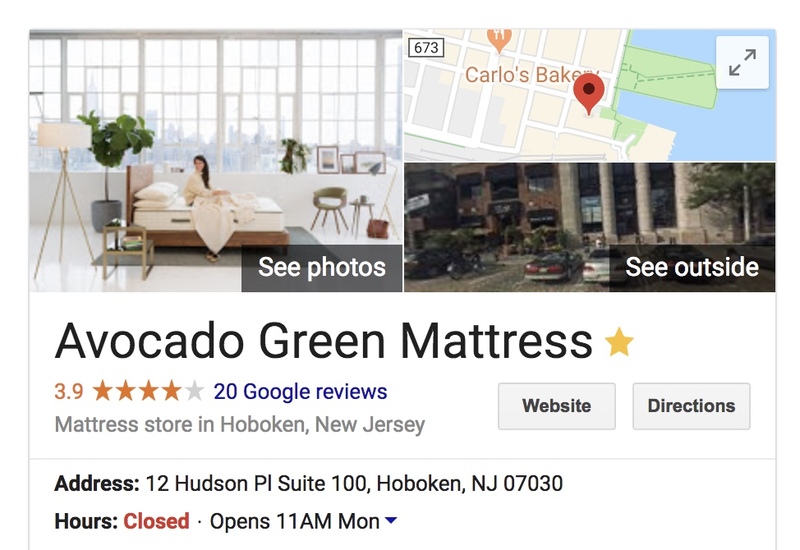 If you search for Avocado Mattress at Google.com, our Knowledge Box should appear, which contains a website link, reviews, our address, hours, photos, etc. You can select the reviews link here and leave a review at any time. These reviews are shown in Google search and maps results. Please note: we are only able to leave public comments in response. On Facebook, you can post a review on our page, in the Reviews section. These are also unverified reviews. Since Facebook will sometimes prompt a user to review a page they have visited — even if they have not ever visited their website or made a purchase — these reviews can be unqualified. Also, other Facebook customers can reply to your review. When they do, you will be notified directly to continue the conversation or respond. Many companies "turn off" Facebook reviews, so the option is not available. Although these reviews can be unqualified, we do not turn off the reviews tab functionality. You can leave a review for us here, and also read our YotPo reviews, which are imported into Facebook. Please note: we are able to leave public comments in response. If you are a member of Consumer Reports, you can write a review for Avocado at any time. These reviews are verified to be from Consumer Reports members, but do not need to be associated with a verified transaction. Please note: we can not comment or reply in any way.